Home > Hours and Special Alerts > Meet Our New Associate Dean, Clement Lau! Meet Our New Associate Dean, Clement Lau! On April 1, 2016, the Zach S. Henderson Library welcomed Mr. Clement Chu Sing Lau as the new Associate Dean of the Library. Clement comes to us from his most recent position as Associate Librarian for Technical and Collection Services at Hong Kong Baptist University Library in Hong Kong. In this senior leadership position, Clement reported to the University Librarian and managed the library division responsible for collection development, acquisitions, cataloging, gift exchange, serials, electronic resources management, collection maintenance, technical processing, bindery and repairs, and materials budgeting. He hired, supervised, and evaluated five professional staff and twenty-seven support staff. He also oversaw library assessment and the liaison librarians program. As a member of the library’s senior management team, he participated in strategic planning, and in formulating and administering library policies. Clement played a key role in library facilities management, including the planning of a remote storage facility and the construction of a new learning commons. He served as the library’s representative to the Hong Kong Joint University Librarians Advisory Committee (JULAC) Integrated Library System Working Group, and the JULAC Distributed Print Journals Project. 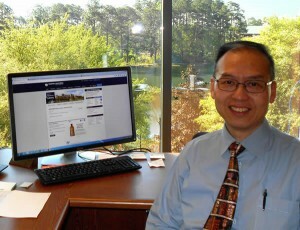 Before joining Hong Kong Baptist University, Clement was the Associate Director for Technical Services and Administration at the University of Baltimore Law Library. He was responsible for managing the law library budget, technical services operation and planning, collection maintenance, personnel recruitment and training, facility maintenance, and technology. He was also involved in the University and Law School’s strategic planning, budgeting, and staff training efforts, as well as University System of Maryland Libraries ‘ consortium projects. Between 2009 and 2013, he implemented several initiatives associated with the new law library’s construction. They included the application of Radio Frequency Identification technology to the new library, withdrawal of library materials (over 120,000 volumes), and surplus books donations, in addition to assisting with space planning and design, collection de-selection and the overall library move. Clement earned his Master of Library Science degree from the University of Maryland at College Park. He also holds master degrees in non-profit organization management, in business administration, and in management information systems, all from the University of Maryland University College. In addition to his leadership positions at Hong Kong Baptist University and the University of Baltimore Law Library, he has served in librarian positions at the University of Maryland-Baltimore County, Trinity College in Washington, D.C., and Mount Vernon College, also in Washington, D.C.
As the Associate Dean of the Library, Clement will assist the Dean in all aspects of leading the Zach S. Henderson Library. He will have particular responsibility for project management and library assessment.